Landlords aren’t just people who own multi families and apartment buildings. Secondary suite landlords are numerous in Canada and the United States, and it’s on the rise. I’m going to give a bit of definition to what constitutes a secondary suite, courtesy of our good friends at the CMHC. The term “secondary suite” is generally used to describe a self-contained dwelling unit with its own kitchen and bathroom, which is separate from the principal dwelling in a house. It can be located either within the principal dwelling or in an accessory building on the same lot as the principal dwelling. These units are also known as “accessory apartments” and “in-law suites. Here’s an interesting metropolitan Canadian fact. Conservatively, more than 1 quarter of British Columbia residents rent out a secondary suite to help with the mortgage. That’s a lot of people. 52% of Vancouver’s residents are renters. That’s also a lot of people. I think it’d be safe to assume these numbers are so high, because buying real estate out west is incredibly expensive. That’s a bit of an understatement. Secondary suites are great. They provide a variety of benefits to neighbourhoods and communities. They’re also a significant source of affordable housing in serviced areas, and make better use of the existing infrastructure. They don’t change the character of neighbourhoods much and they diversify the housing types available. They also increase the number of residents living in an area, which in turn makes neighbourhood transit more viable and enhances commercial activity. Finally, they provide owners with income and increase property tax revenues for municipalities. That’s a whole bunch of double rainbows right there. Secondary suites aren’t just popular in Vancouver and greater B.C. They’re big in Calgary too. The city has a 1.3% vacancy rate. That’s great news for landlords, but that’s pretty tight for people looking for a place to call home. To boot – mortgage rules changed in July of last year, making it a little more difficult to buy a home. As a result, Calgary is in the process of embracing secondary suites, much like the rest of western Canada, and is attempting to lax rules with respect to them as recently as before the beginning of 2013. Mayor Naheed Nenshi has been advocating easing restrictions on secondary suites for a while. One problem. Calgary’s city council doesn’t get it. Calgary’s already tight rental market is speculated to only get tighter after the flood that swept through the city. This is slated to be a key issue in the upcoming Calgary municipal election. Secondary suites require a few things to conform legally. It’d be a lie to say that they’re all legal. They’re not. The point I’m trying to make is that the municipal laws that determine whether a suite is legal or not should be relaxed. Mayor Nenshi and several councillors have taken the position that existing suites across the city should be grandfathered in to be legally zoned suites, provided they comply with proper building and fire codes. Compliance with common sense rules like this is a given, of course. The opposition on council have taken a not-in-my-backyard stance. They prefer the practice of having illegal suites reported by neighbours, and inspectors/by-law enforcement officers dispatched to investigate, and possibly enforce compliance with zoning and building/fire codes. Those in this camp appear to prefer want the to city focus additional resources to the inspection and enforcement of illegal suites in order to ensure the safety of Calgarians. 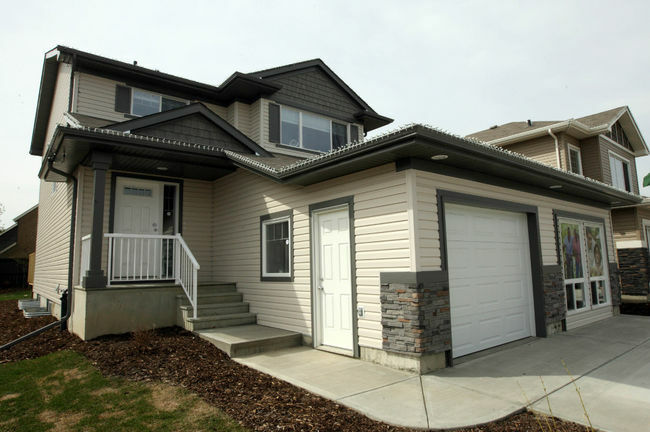 That sounds like a relatively logical position, but in Calgary, legal secondary suites are tough to create because the province’s building code treats suites as duplexes or semi-detached dwellings with mandated separate heating and water tanks, restrictive square footage counts, among other difficult to meet regulations. To put this into perspective, according to a piece in the Calgary Herald in May of 2009, the city had shut down 2,104 “illegal” secondary suites because of bylaw non-compliance — not safety codes of any sort — since 2004. That amounts to the closure of 1 non compliant secondary suite a day. Seems a bit empirical to me. What do you think? Are you a secondary suite landlord? Do you live in Calgary? Vancouver? Any other city that’s transitioning on the issue? Share your thoughts with us!